Christy Orquera of the Great Neck Library needed your assistance in identifying this weekend's holiday Mystery Foto. 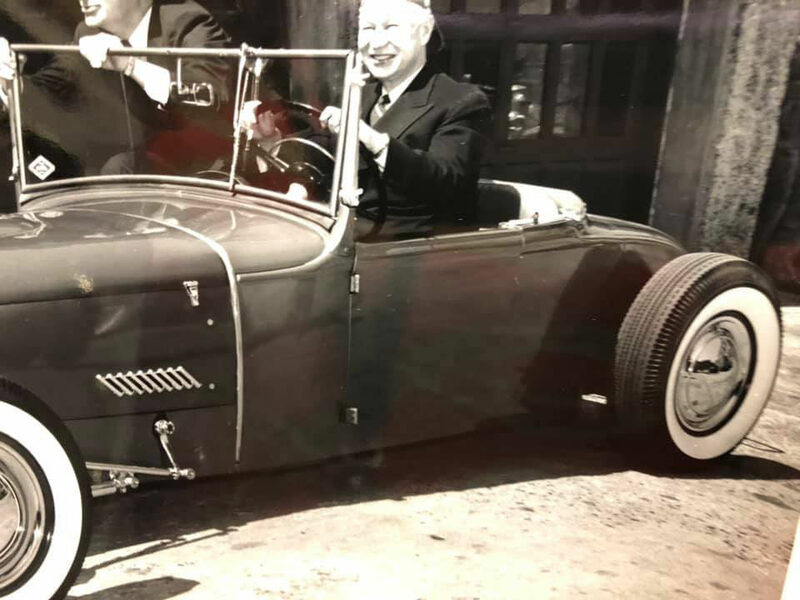 Christy Orquera: Can anyone help identify a very interesting car that A. Holly Patterson was photographed in April 1957? I put the call out to some car friends last week on Facebook, but no one had a conclusive answer. Who was A. Holly Paterson? A. (Archibald) Holly Patterson was County Executive of Nassau County from 1953 to 1962.
Who was likely the passenger in the automobile? Robert Moses, then Long Island State Park Commisioner. 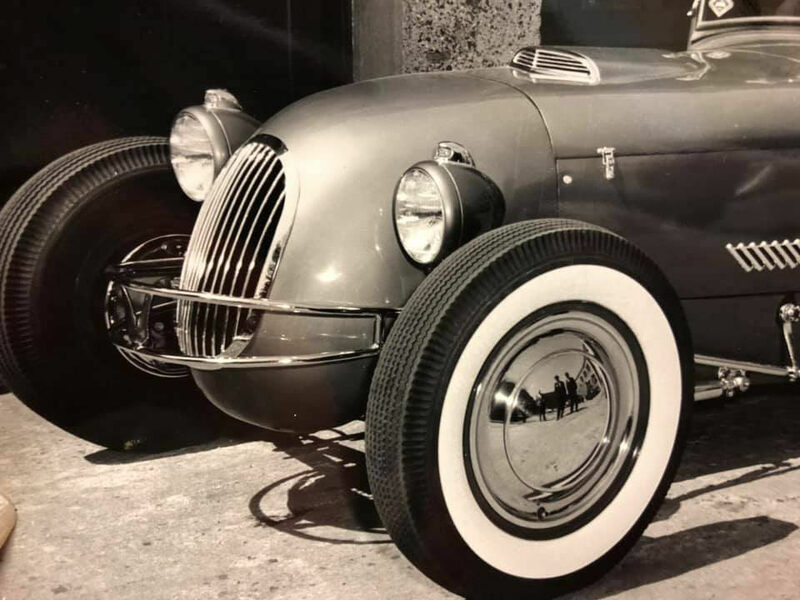 This unique automobile is still unidentifed> It was built on a Model A Ford body. Kudos question: What date, where and why was this photo taken? 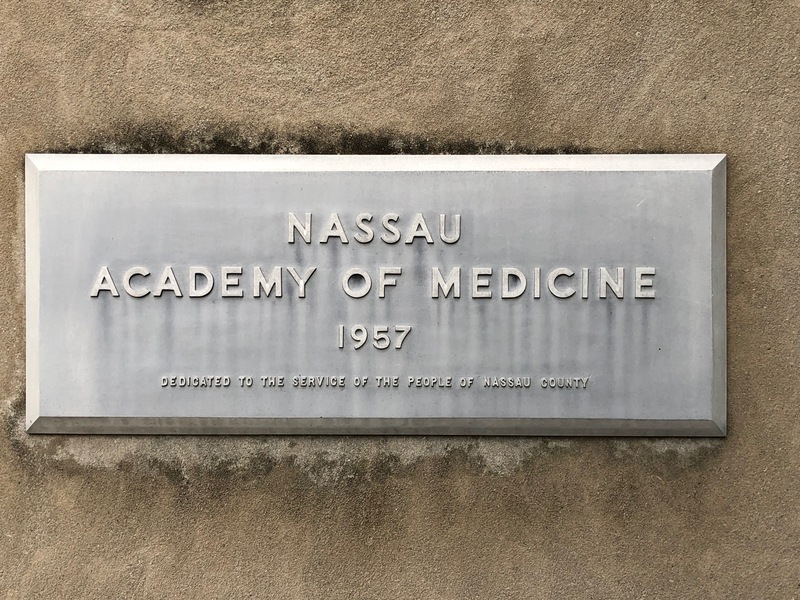 Likely the groundbreaking ceremonies for the Nassau Academy of Medicine held on April 26, 1957. 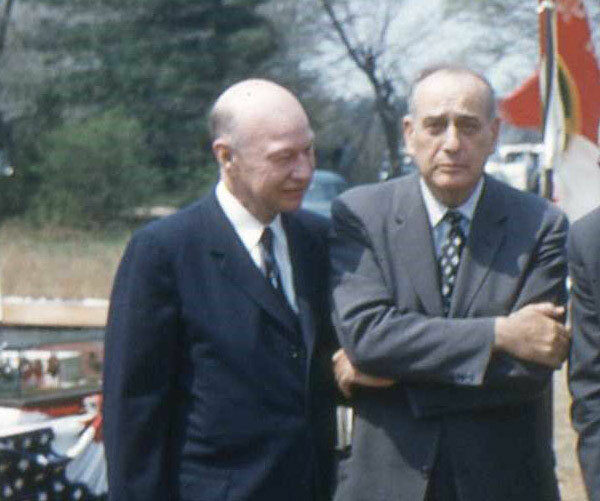 Congrats to Steve Lucas, George Philippides and Brian McCarthy for identifying Robert Moses. 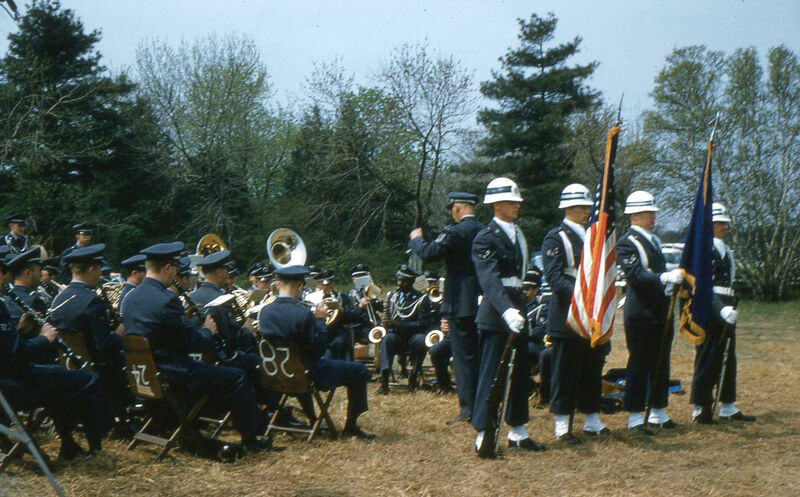 Kudos to Brian McCarthy for finding the likely location and date for the Mystery Foto. 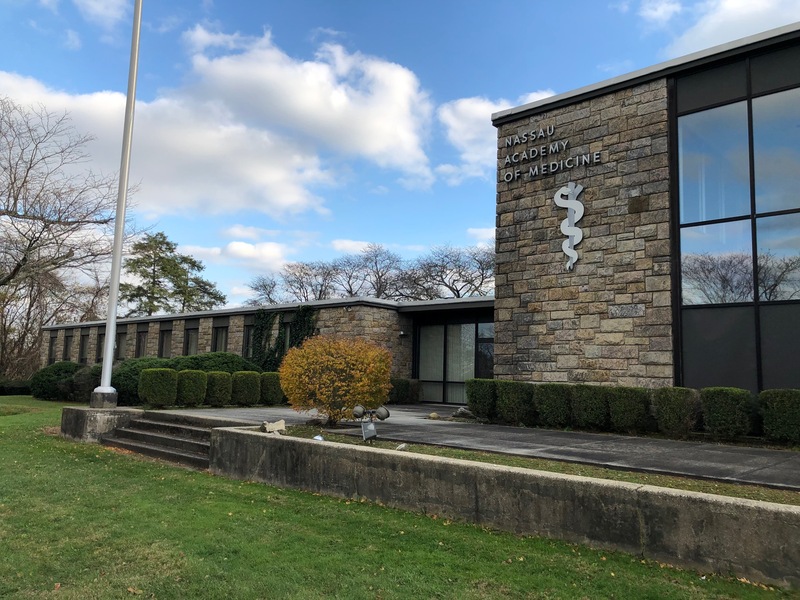 The only major press event for A. Holly Patterson and Robert Moses in April 1957 was the groundbreaking ceremony for the Nassau Academy of Medicines (now Nassau Academy of Medicine) located at Stewart Avenue and Meadowbrook Parkway. 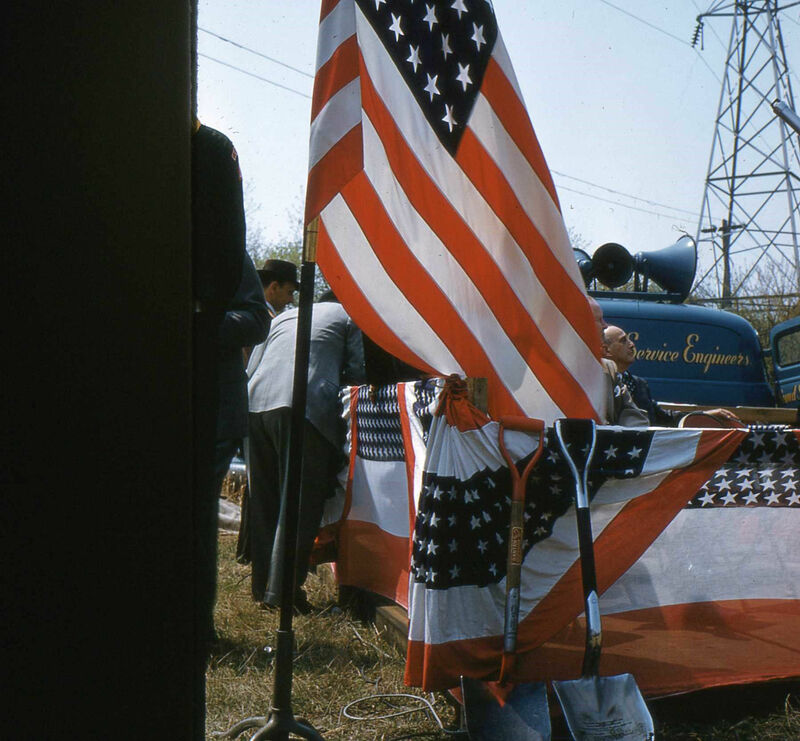 Robert Moses and A. Holly Patterson at the groundbreaking ceremony in April 1957. Courtesy of Aaron Kumar, Executive Director of Nassau County Medical Society. Note: Patterson's tie appears to match the tie he is wearing in the Mystery Foto. 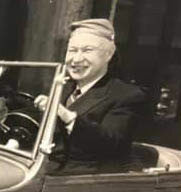 Archibald Holly Patterson was the Nassau County Executive from 1953 to 1962. Prior to that he had been Supervisor for the Township of Hempstead. The passenger sure looks like Robert Moses although I can’t prove it. 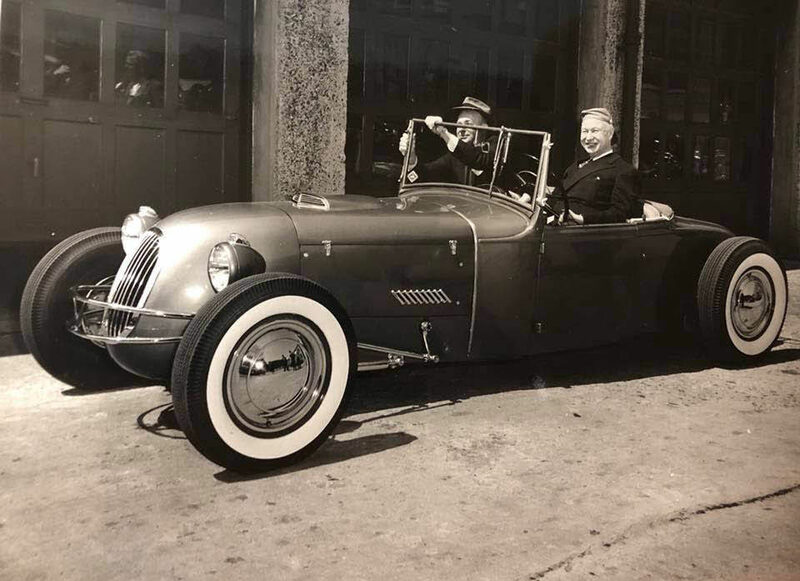 No clue on the identity of the car. Maybe they were on their way to the groundbreaking ceremony for the Nassau County portion of the Long Island Expressway. A Holly Patterson was the county executive of Nassau County, New York, from 1953-1962. I believe the passenger in the car was Robert Moses? Mystery Foto #47… , A. Holly Patterson was the Republican county executive of Nassau County, New York, from 1953-1962. The likely passenger in the car was the owner OR… perhaps the Republican party chairman for Nassau??? 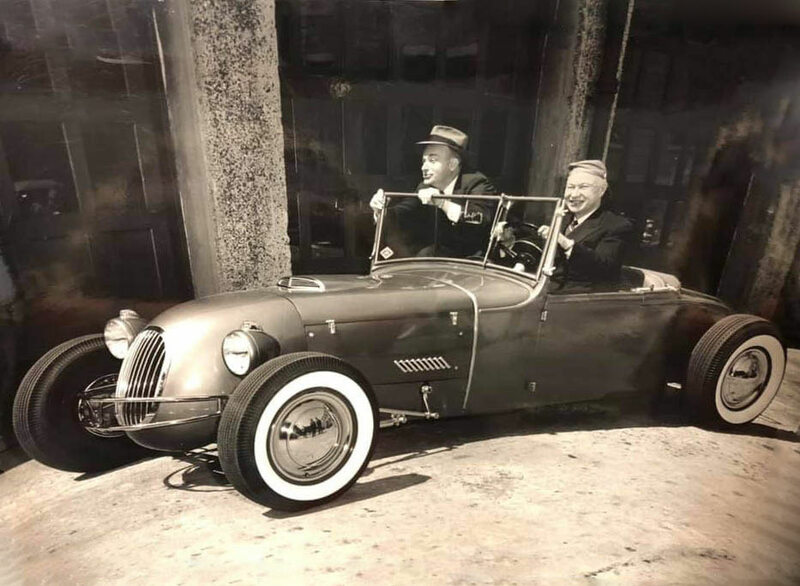 The car looks to be a modified Ford Model A roadster with a track car nose. Research about the car and the occasion came up empty. The car is without doubt a street rod or hot rod. Body is from a Model A Ford. The time frame got me to think that about that time my Dad took me to a hot rod /custom car show on the south shore of Long Island in Nassau County. I would have been about 8 years old. It was held in a brick building perhaps someplace along Merrick Road or Sunrise Highway. Anyway there were cars on display an I think it may have been in early Fall or the Spring of the year ( because it was held inside) if I remember all the cars were of the pre-WWII era and all hot rods. For some reason Seaford pops into my head or someplace like that - Freeport? * A. Holly Patterson: Republican, he was the Nassau County Executive from 1953 thru 1962. *Passenger: I’m saying it’s Master Builder, Robert Moses. The image where the passenger is facing forward doesn’t quite look like Moses ( you can’t see his eyes ), but the passengers profile brings Moses to mind. *ID Auto: I can’t identify. 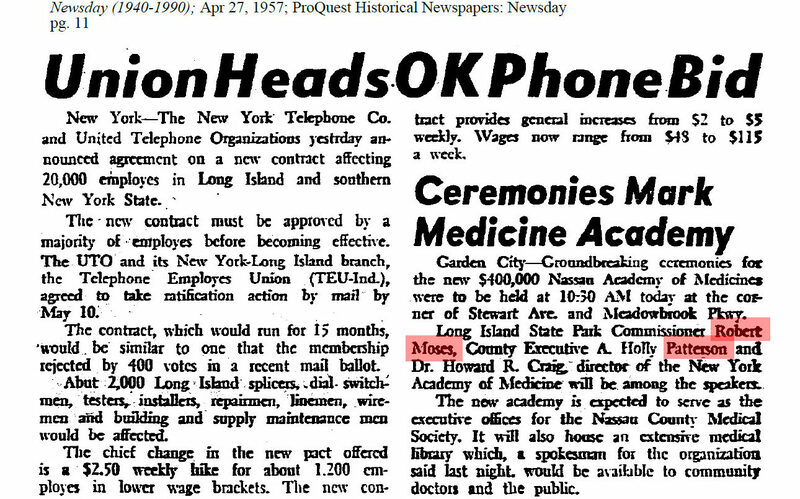 *When, Where, and Why: I located an article in the 4/27/1957 issue of Newsday titled: Ceremonies Mark Medicine Academy - A. Holly Patterson, Robert Moses, and Dr. Howard R Craig were speakers for the opening of the new academy. Ceremony was held at Stewart Ave. and Meadowbrook Pkwy ( which is #1200 Stewart Ave. Garden City, NY ). It appears their parked on the side of a large building w/garage doors. Tough to say if this is part of the academy location. I read that Robert Moses did have a drivers license, but he utilized limo’s for travel. 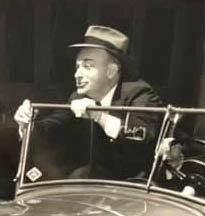 Mr. Patterson looks to be donning a chauffeur’s cap. Looks like their acting out and having a ball!